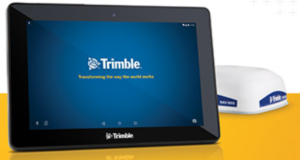 The Trimble® GFX-750™ display system continues a strong tradition of sleek, easy-to-use displays from Trimble Agriculture. With a simplified installation process, your cab will be less cluttered with this automated guidance system. Add in Bluetooth® and Wi-Fi connectivity to go along with ISOBUS compatibility and you can tackle farming applications from every season across all of your equipment brands.